2.1 Conclusion – Should You Buy Bio-Oil? Having flawless skin is everybody’s dream. Some are lucky enough to have it naturally while others have to depend on cosmetics. Still others may suffer injuries or undergo surgical procedures resulting in scars. Now, scars usually go away with time but it depends on a multitude of factors. The type of injury, its depth and the agent causing it, all contribute towards whether the scar is permanent or temporary. Even after a scar does vanish with time, chances are that an uneven skin tone or mark still persists. Bio-Oil can prove a revelation! Bio-oil is definitely one of the most popular and America’s #1 Best Seller multi-use skincare oil. It is proven to be greatly effective in improving the appearance of old and new scars. Bio-oil official site claims to have won over 223 skincare awards. Positive reviews and feedback also strengthen the company’s claim. Read along as we bring out more information in this Bio-Oil Review. Bio-oil is useful in a variety of skin conditions like stretch marks(striae), burn scars, wound scars, dry skin, uneven skin, ageing skin and dehydrated skin. It also helps in other skin conditions like dermatitis, eczema, psoriasis and heat rash. Such conditions cause the skin to become dry and scaly and the skin tends to lose its natural oils. Harsh soaps and other chemicals aggravate the dehydration and the natural balance of the skin. Bio-oil has shown results which help to subdue the ill-effects of these skin diseases. The most marketed use of Bio-Oil is to reduce stretch marks. The product can do wonders if used during events when your body may develop stretch marks like pregnancy, teenage growth years, gyming or sudden weight gain etc. I too have shed weight around my waist and some fine stretch marks were visible. Regular use of Bio Oil for about a month has vanished the marks completely. However, little or no improvement was observed for the marks around my knees. I had gained height quickly in my teenage years. I think Bio Oil is not effective for old stretch marks as is said for old scars. Speaking from a broader viewpoint, women all over the world vouch for this use of Bio-Oil. The second most advertised use, and perhaps the most misunderstood one. It is worth mentioning that Bio-Oil does not eliminate scars, it can reduce them in appearance. There are other specialized creams which ingredients which are more scar centric. Never apply Bio-Oil on open wounds or fresh scars thinking it would benefit. It may do more harm than good. Acne Scars, Burn scars, chicken Pox scars get lightened. 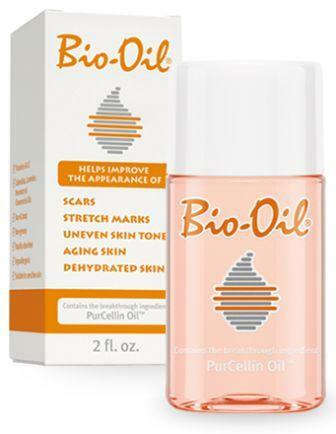 Bio-Oil is an extremely effective moisturizer for dry skin. It’s unique formulation of mineral oils, vitamins and plant extracts provide calming and hydrating benefits to the skin. Lavender Oil, Marigold Oil and Chamomile Oil are proven and age old essential oils for health skin. Bio‑Oil helps supplement the skin’s natural oils which can be stripped away by lifestyle and environmental factors. Apply a few drops of Bio-Oil on the affected area. Gently rub it in circular fashion until it gets absorbed. It is recommended to use Bio-oil twice daily for 3 months for best results. PurCellin Oil™: The main ingredient that acts as an emollient. It improves the texture of the oil so that it gets easily absorbed by the skin and is easy to apply. Helps in keeping the skin smooth and supple. Vitamin A: Skin collagen is what promotes the replacement of dead skin cells and gives our skin strength and elasticity. Vitamin A helps in the production of collagen. Calendula Oil: Calendula is a beautiful flowering plant which I have been growing in my garden for years. It has cell regenerative qualities and anti-inflammatory properties. Helpful in treating sun damaged skin, rashes and minor epidermal infections or cuts. Lavender Oil: Also has antiseptic properties and provides skin conditioning and a soothing effect on inflamed skin. Vitamin E: The omnipresent ingredient and the most well known. Vitamin E helps shield the skin from the ill-effects of free radicals and signs of ageing skin. While having almonds in the diet is always cool, skin creams generously contain this ingredient. Vitamin E helps the skin retain moisture and thus the skin remains soft and supple. Mineral Oil: Mineral oil works both as an emollient and a moisturizer. It keeps the skin soft and smooth preventing skin dryness. It functions by reducing the rate at which water vapor is naturally lost through the skin’s surface. Mineral oil works together with other base oils in the Bio-Oil formulation to deliver the vitamins (A and E) and plant extracts (Calendula, Rosemary, Lavender and Chamomile oils) to the skin where they can enact their benefits. Bio-oil contains natural ingredients which are safe to use. It should only be applied externally and be applied only when the skin is not broken. Never apply it on open wounds. For burn scars, the burn wound should have dried and it should not be applied on blisters. Although Bio-oil has been clinically proven to be non-acnegenic and non-comedogenic(pimples), still its use should be avoided for treating acne. Bio-oil delivers on its promise of reducing visible scars and stretch marks. The packaging is sturdy and can fit in a handbag and has spill protection. A small bottle of Bio-Oil can last a long time since only a few drops are applied at a time on the affected area. The oil absorbs readily in the skin and does not leave you feeling sulky with that oily feeling. The only concern is that people with already oily skin may not like it as much as others. But, this is part and parcel of having oily skin isn’t it? A majority of users have felt the positive effects of regular use of Bio-oil. Users have reported a substantial improvement in their skin texture. Post-pregnancy stretch marks are greatly reduced upto the point of complete recovery or they don’t even occur if use is started prior. Conclusion – Should You Buy Bio-Oil? 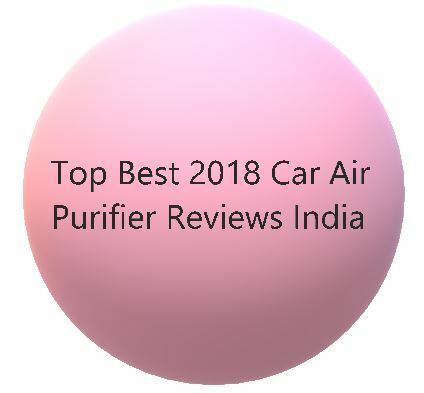 The product has been getting excellent reviews since the time it was launched and we strongly recommend it. If you have any of the skin problems which we have described above, then rest assured that Bio-Oil would prove helpful. It is definitely worth purchasing.